samantha I am validating this deal and it works as described. 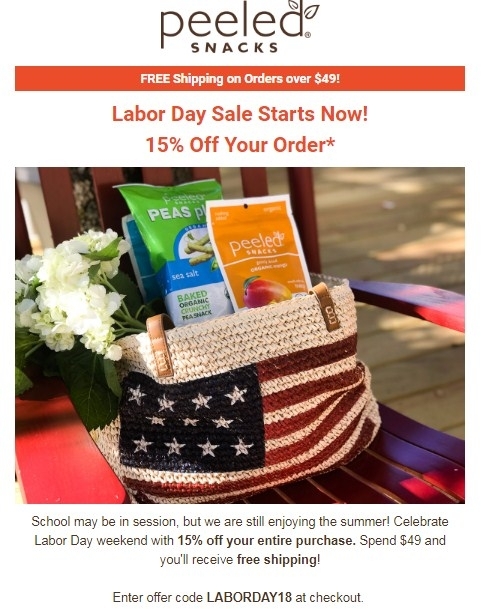 15% Off Your Purchase + Free Shipping at Peeled Snacks. Promo code LABORDAY18. This offer is for a limited time only.